This time last year I wrote about being very excited about the year to come as I felt I had discovered what my paintings should be about. I finished the post with "So, this year the aim is to put together a body of work of which I am proud, dealing with how people present themselves." And have I achieved this? Yes. I am proud of my solo show in August and although I still have a lot of work to do in exploring how we tell stories about ourselves visually I do feel I've made a decent beginning. Thankfully, buyers do seem to agree with me, as almost half of the works from the show have now sold. Which is terribly encouraging - all the paintings were bigger than I had tried before, and two of them were 3 x 4 ft - so I was working on quite a different scale from previously. Big canvases are clearly in my future. This was my first solo show, so I had an awful lot to learn, not least how to create a group of work that hangs well together and making sure the paintings were done on time. Through doing this I learnt a process that works well for me where I draw the proposed painting on a smaller scale. On some occasions I also did a colour study to try out options or to see if a bigger version will be possible. Which is very traditional but in my case updated with the use of digital camera - if considering a change if tone or colour I would play around on the computer. But sometimes there is no alternative to doing it in oils. What else was new? Well, several of the people I painted were folk I had never met before but had volunteered - I was nervous that I couldn't paint someone whom I didn't already know, but fortunately it worked out well which hopefully means that my first commissioned portrait to be done soon will not be a problem. What else happened this year? Several new galleries have been in touch with me, so I will be showing at various new places next year, which is quite exciting. So I had quite a good year, unlike Glasgow in general, which suffered greatly in various ways. But onwards and upwards. yeah congratulations too, just been perusing yoiur website and your solo show entries. Love , "The Kitten, The Queen and "After The Party"
Thank you both for commenting - and sorry for the delay, I've been a bit poorly - not a good start to the year! Anyway, there are some plans afoot Clare that some paintings will be coming down to London this year, which is kinda exciting for me. 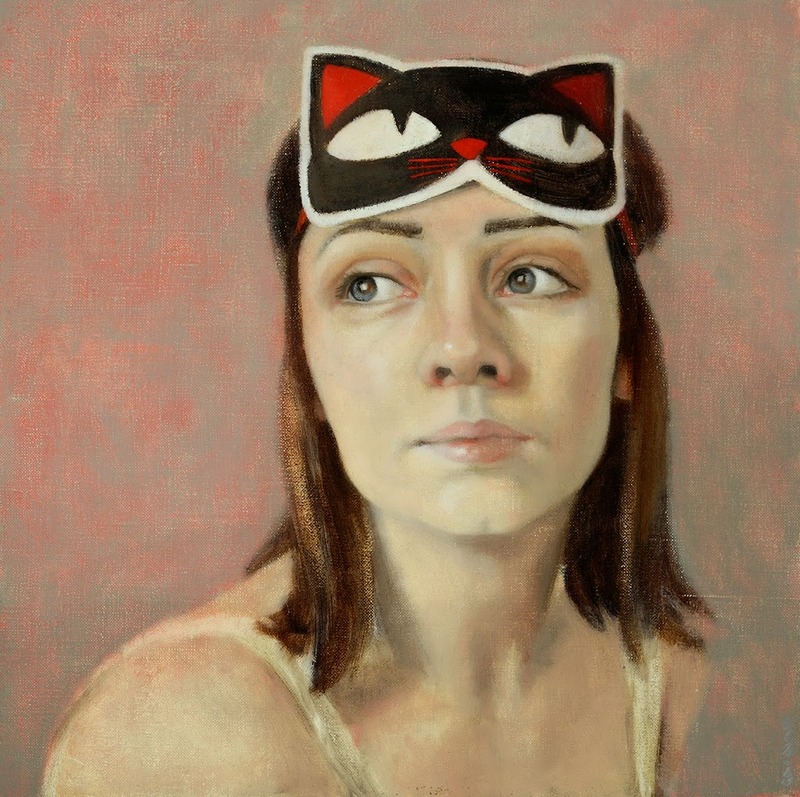 Thank you Karl S, The Kitten is one of my favourites, too - especially as it was one of the first paintings finished for the show, so was pretty much all the porr gallery owner had to go on - that brave women took a real leap of faith!